Facebook have agreed to release information on advertising used during the Eighth Amendment referendum. The social media company will reveal information surrounding the amount of money spent on advertisements during the lead up to the referendum, which will provide information on the extent of online advertising in Ireland. The data is expected to be provided to the UCD Geary Institute alongside the Transparent Referendum Initiative. In a letter seen by independent.ie and sent to Green Party leader Eamon Ryan, who campaigned for the release of the data, Facebook confirmed they will release the data surrounding “foreign” adverts that were rejected between May 8 and May 25. In May, Facebook announced they were rejecting advertisements relating to the referendum if they were purchased by overseas advertisers. A day later, Google announced it would ban all adverts related to the Eight Amendment debate. It is understood that Facebook will work with the UCD Geary Institute to compile a lit of advocacy groups that ran adverts “to secure a particular outcome”. 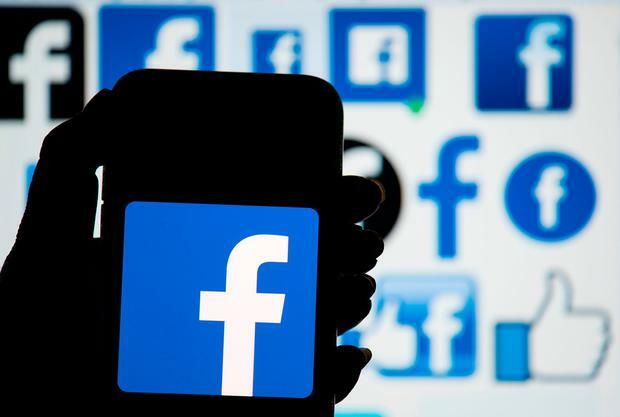 According to Liz Carolan, founder of the Transparent Referendum Initiative, the group have compiled a crowdsourced list of 320 groups as well as Facebook pages sent by screenshots. Deputy Ryan welcomed the news this morning and said it was important to get “transparency” about the online adverts used during the lead up to the referendum. “Facebook were in a difficult position because there weren’t any rules, there weren’t any electoral laws on what they could or should do,” Mr Ryan said on RTÉ Radio One this morning. Mr Ryan added that the information will help the Transparent Referendum Initiative understand why Facebook decided to block overseas advertising three weeks before the referendum date. “We don’t know if that was because there was a wall of money coming in from overseas or was it because there was particular advertising coming in or was it just because they felt following the Cambridge Analytica report and Brexit controversy that it was better to be safe. Mr Ryan added that they would like to see Google follow suit as Facebook’s move “sets an important precedent”. Facebook confirmed that all information released will done so in a GDPR-compliant manner. Rachel Farrell A family from Drogheda are appealing for help to get their daughter to the USA for “life changing” surgery that will allow her to walk. Alison Comyn The quick-thinking action of a man prevented almost certain tragedy last week, after he rescued another man from the River Boyne. Kathy Armstrong Motorists have been warned to expect delays after a truck carrying horses overturned on the M50 this evening.